EUROPE is still reeling at the news of what happened in a small church in Rouen on Tuesday, July 26. 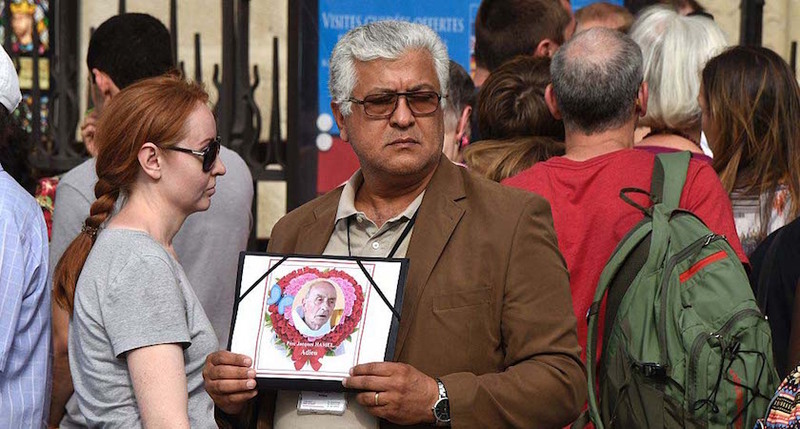 On that day, an 84-year-old priest called Fr Jacques Hamel was saying Mass when two attackers stormed into his church and took him and four others hostage. French police eventually shot both hostage-takers dead but not before they had carried out a shocking crime. They forced the priest to his knees, slit his throat and as he lay bleeding to death, they gave a sermon in Arabic from the altar. IS have since claimed that they were responsible for this attack, which has been condemned by political and religious leaders the world over. Although the casualty rate in this attack was low in comparison with recent attacks in Nice and Paris (with one dead and one hostage currently in a critical condition), it has resonated with people because of its choice of target and its brutal nature. French President Francois Hollande said that the attackers had committed “a cowardly assassination” and pledged that France would fight IS “by all means”. The Prime Minister of Britain Theresa May described the attack as “sickening”. And Irish Taoiseach Enda Kenny was outraged that such a crime could take place in a sacred space. The Catholic Church has spoken out too. The Vatican has decried “the pain and horror of this absurd violence”. And in Ireland, the Catholic Church has expressed solidarity with its French brothers and sisters. The Archbishop of Dublin Dr Michael Jackson urged people of all faiths to reach out to each other to work against the spread of fear and terror while Archbishop Eamon Martin has spoken about the “profoundly disturbing” nature of the crime and called on Catholics to take up the weapons of “prayer and fraternity among peoples”. While it’s clear that all right-thinking people condemn this appalling act of violence, many questions still remain. The most important one is whether this crime marks the beginning of a new wave of IS terror. Will there now be more attacks on religious targets? And should the response be to install security measures at churches? French religious leaders are already calling for more security. On the Wednesday after the attack, representatives from Christian, Muslim, Jewish and Buddhist faiths met with President Hollande to ask for just that. They are right to think that they are targets. Christians in IS-controlled Syria have been a particular target of IS, with many being ordered to convert to Islam or face death. IS has tried to target Christians outside of its territories too. In fact, it’s previously tried in France. 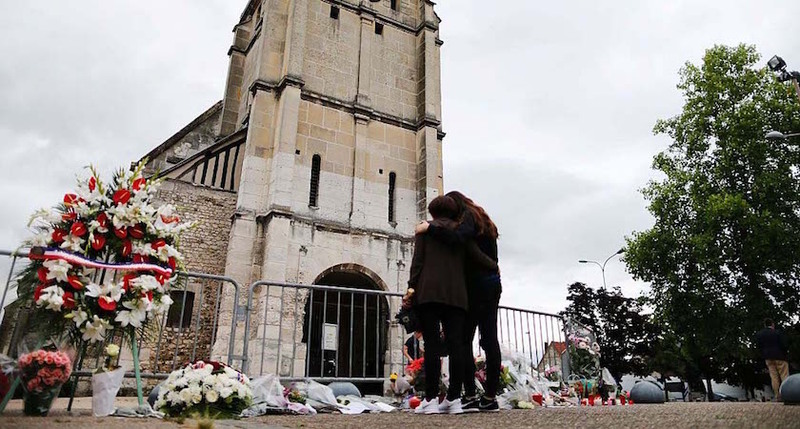 In April 2015, a 24-year-old Algerian planned (but ultimately failed) to carry out an attack on a church in the Parisian suburb of Villejuif. President Hollande has tried to reassure Catholics that they are safe, telling Pope Francis that “everything will be done to protect churches and places of worship”. However, he may not be in a position to follow through on this. 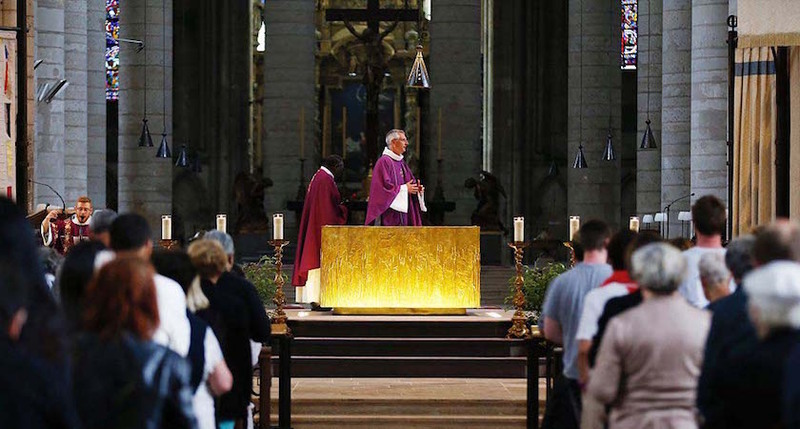 There are 45,000 Catholic parishes in France as well as 4,000 Protestant churches, 2,600 evangelical churches and 150 Christian Orthodox churches. Protecting every one would be impossible. In the UK, with its estimated 47,000 Christian churches, chapels and meeting houses, the task would be just as difficult. The same would apply in Ireland, which has 1,999 parishes, with at least one church in each parish, along with Protestant churches and a growing number of mosques and places of worship for other faiths. This is not to say we should do nothing. In France, 1,227 Christian sites now have extra security, ranging from simple patrols during services to round-the-clock security. 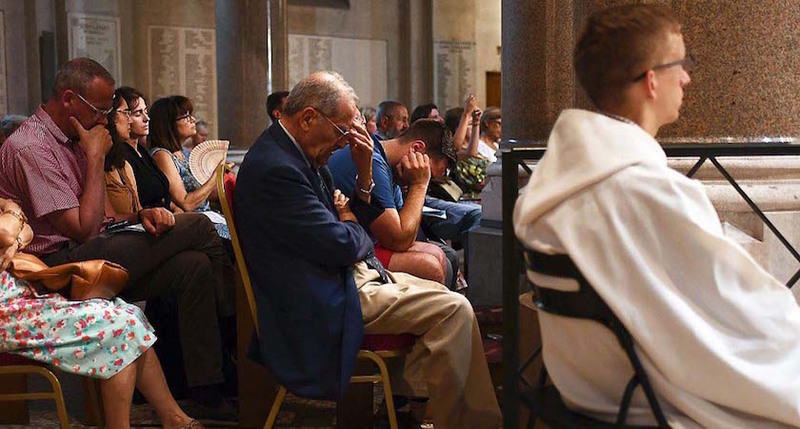 In Britain, the Government have announced a £2.4million fund for extra security measures at places of worship and anti-terrorism police have warned churches to be on alert. At the same time, they are keen to stress that they have no specific intelligence relating to attacks on Christians in Britain. In Ireland, where the security threat is low, no extra measures have been taken. It is easy to understand the move to increase security. It is also easy to argue that it may prevent future IS attacks. However, I don’t think heightened security is the key to success in the long term. As we saw with IRA bombing campaigns in the past, terrorists only need to get lucky once to have an impact. Security forces have to be lucky all the time. Security played a part in defeating the IRA but they weren’t truly defeated until we engaged with them and compromised on some of their demands. IS isn’t willing to engage and their demands are too extreme so that may not be possible in this case but it doesn’t mean that we shouldn’t reach out. France has increased its security but its church doors remain open. The same applies in Britain and Ireland. Our hearts should stay open too. By emphasising the values we share across all religions and none, we prove there is more that brings us together than divides us. By making everyone feel included in our societies, we can turn those societies into safer places for all. I’m not suggesting we should go soft on the evil perpetrated by IS. We should all – Christian and Muslim, believer and non-believer – condemn acts of terror such as the murder of Father Hamel. We should isolate the people who carry out these acts from society and let them know that their beliefs and actions are respected by no one. No God could condone what they have done. I’m not religious. I’m not even sure I believe in God. But I stand beside Vincent Neymon, deputy spokesman of the Bishop’s Conference of France, when he says that: “it is through unity that we will win”. There will be dark times ahead but by coming together and by concentrating on what’s best in people, I think the philosophy of hate preached by IS can and will be defeated.